There is always a need for shipping cars or container to Africa from the US and company like USG specialized in the African market for car or container shipping. When it comes to shipping cars, container or other items USG offers the best service to Africa. Africa has many natural resources but practically proceeded items needs to imported due to lack of manufacturing. Because of the volume, some of the Ocean Freight Carriers have started to offer a direct shipment from the USA to Africa. Shipping to Africa could become very challenging because of all the issues and government regulations that often need professional assistance. In US General Shipping we have the knowledge and experience to navigate through these challenges. US General Shipping specialized in shipping to Africa from the USA and can handle all your shipping requests. 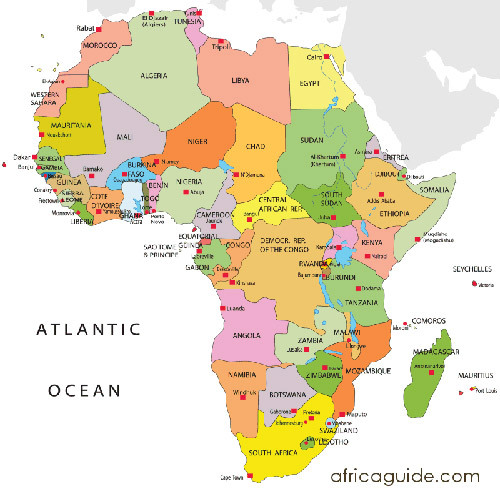 We usually offer a better rate for NON-Profit Organization for shipping containers to Africa. USG guaranties the lowest rates for Ocean Shipping to Africa however, We do not believe just providing the cheapest rate for shipping to Africa will be enough and we also consider to offer a very quality service for your freight to Africa. As one of the top shipping companies in Africa, we are offering all types of shipping services to Africa. Besides being the top Africa Car Carrier, USG is also among the largest provider for container shipping to Africa. - Shipping container to Africa: Daily container ship departure from all the major ports in the US. We can ship 20, 40 and 40 HC and refrigerated, flat rack and open top container. - Shipping cars to Africa: There is a roll on roll off and container option for shipping a car to Africa. Keep in mind if you are shipping your car via roll on roll off to Africa, the car must run and drive with the clean title. Also, you can't add any items inside the car when using ro-ro shipping to Africa. Also, it is very important to give the correct value for your vehicle when you are filling out the car export declaration for shipping to Africa. Keep in mind that cars with salvage titles are not okay for shipped via ro-ro but for those vehicles, the container option is not an issue. Keep in mind there is a year restriction for each country and import taxes varies depending on the made year of the car. - Cargo to Africa by sea or air: Our shipping service to Africa is not limited to cars and USG can ship any type of cargo to Africa. There are shipping carriers for any type of cargo as long as they allowed for being exported from the US. We offer all types of shipping services to East Africa. We can help to move your cargo to East Africa either by Ocean or Air. On the Ocean Freight and depending on the origin of your shipment USG can move your cargo either from the East or West coast. Most of the shipment to East Africa originated from any ports on the West Coast has one or two transshipment points in Asia and the Middle East. Out of West Coast, any containers destination East Africa have most probably switch the vessel either in Europe or South Africa. East African Shipping Line or USG offers containers and Over-Sized Cargo services to all the East African shipping ports. More questions on how to ship, send an email! Shipping Cars to East Africa: Even that due to all the restriction, East Africa does not have the same volume of demand for American Cars, there is a large volume of inquiries for shipping car to East Africa. Unfortunately, the roll on roll off services to East Africa is not really cheap so customers mostly ship multiple cars in the 40-footer containers for East Africa. We offer all type of freight to East Africa from Canada however we only offer car shipping to East Africa from the USA. The difference between North Africa and much of Sub-Saharan Africa is historically and ecologically significant because of the effective barrier created by the Sahara. Most of the shipping carriers use ports in North Africa as the transshipment port because of the strategic location. For instance, Algiers is the transshipment port for Safmarine for all the shipment to a destination in Africa. The shipping and logistics system in North Africa influenced mostly by the French and Italian system since most of the ports of entries got renovated during the colonization. At USG Shipping Line and with our Arabic Speaking representatives we can answer all of your questions for shipping to North Africa. Any question, please give us a call or send us an email and our team will provide the most accurate quote.